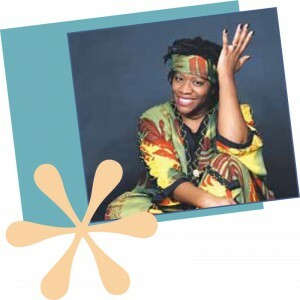 a published author, artist, teacher, and professional storyteller who started her career in 1989 after graduating from Northwestern University. She has performed and taught all over the world. Donna also has nine multiple-award-winning CDs. Her publishing credits include The Story of Kwanzaa, A Pride of African Tales, and Li’l Rabbit’s Kwanzaa, published by HarperCollins Children’s Books; A Big Spooky House published by Hyperion Books for Children; and Boo Stew, which will be published by Peachtree. She lives in Durham, North Carolina, with her husband and manager, David, their children, Devin and Darith, and their two mischievous cats, Love Bug and Flash.